Sunnybrow was established in 1989. Peter and Val Graveson took it over in 2003. In July 2006 they finished their refurbishment of new premises in the conservation area up above Kendal town centre, just off Underbarrow Road, and moved all their pre-school day care to this one site. Sunnybrow is a family business. Peter, Val and Adam are very hands on, and more often than not, are always in and around the nursery. Peter is the Managing Director. Val, his wife, trained to be a nursery nurse and she is in charge of all the catering and cleaning arrangements, and often spends time covering staff holidays and absences. Their son Adam helps out in all areas of the business. The nursery is a light and airy three-storey Victorian building, with tall ceilings and large windows, overlooking a large, secluded garden. We provide high-quality pre-school care and education for children from birth to 5 years old. We recently had a brand new garden area completed. 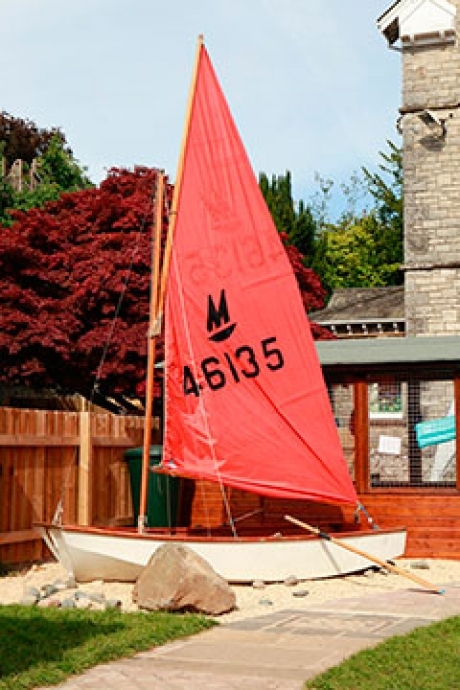 Its suitable for all ages and has a large sandpit and a yurt and many more features. Our aim is to provide a safe, happy place where children learn, grow and have fun. We aim to encourage every child to reach their full potential during their time spent here at Sunnybrow. We aim to give children the opportunity to be creative and learn, using a wide range of resources. We aim to provide a happy and safe environment where children feel secure and welcome, ensuring the development of their confidence and self esteem. We aim to value each and every child as an individual and cater for their specific needs. We aim to help children learn to value and be proud of their own and other peoples work, belongings and achievements. We aim to develop children’s independence and social skills, preparing them for school and their lives ahead.We aim to laugh and have lots of fun!